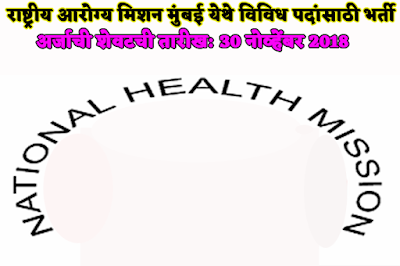 NHM, Mumbai announced recruitment under the Chief Medical Officer, Mumbai (Maharashtra), District Account Manager, Data Entry Operator and Budget and Finance Officer's. Any interested and eligible candidate who wants to apply, fully check the educational qualifications, age and other rules and regulations of this application and ensure that the candidate is eligible to apply for this post or not. 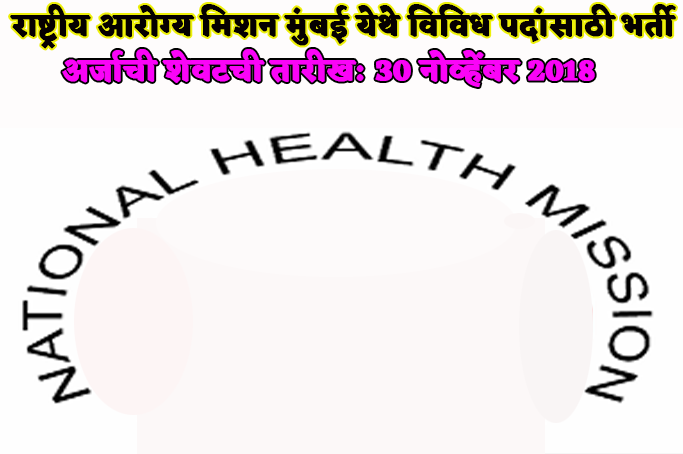 NHM Mumbai Recruitment 2018 all information is given below. Age criteria for Open is 38 years & for reserved categories is 43 years. Candidates should have passed M.Com/ B.Com/ MBA/ CA or equivalent from a recognized Board. Rs. 9,600/- to Rs.21,600/- will be paid as salary. Post the fully filled application form 30 November 2018, 05:30 p.m. with all the mentioned documents in advertising PDF, by post by post. Only short listed candidates will be eligible for interviews. Appointment of selected candidate will be for the period of 11 months, likely to be extended if performance is satisfactory only if project is extended. If the project is not extended, candidate can’t claim any right on the post or permanency of job or job protection by employee.